Like a scene out of a futuristic movie, imagine an airplane that could take off from a runway, fly sub-orbital, and return to the ground with a runway landing. The concept seemed pretty far-fetched not even ten years ago. Now, a handful of commercial spaceflight companies are breathing life into what was once only sentiment. The Reuseable Launch Vehicle (RLV) industry is heating up fast. With several different companies having similar spacecraft in various stages of production or testing, the race is on, and XCOR Aerospace is close to the finish line. 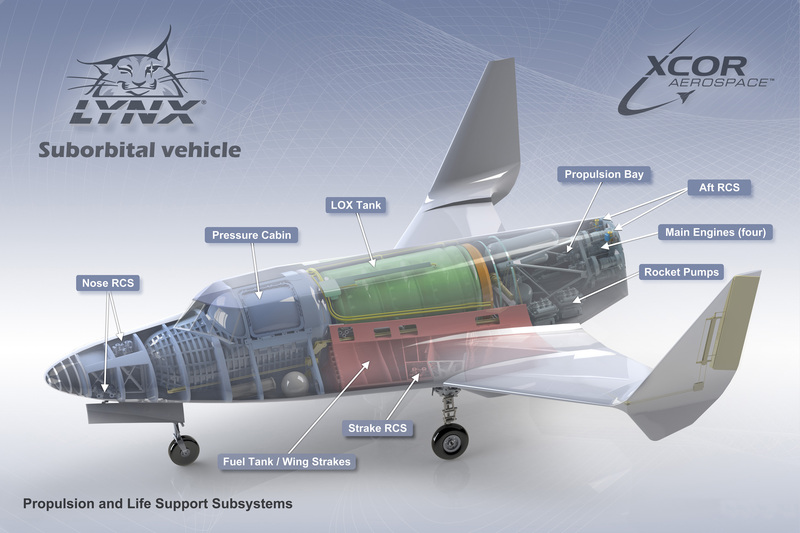 XCOR has developed an RLV they call “Lynx”. It is powered by a fully reusable rocket propulsion system that gives it the unique capability of taking off and landing horizontally, while most other companies are using rocket rides and air-launch methods to take to the skies. Some of the advantages the Lynx spacecraft boasts are a low operating cost and the capability of fulfilling four flights per day with two-hour turnarounds in between, without any compromise to the safety of the vehicle. Lynx will be able to operate out of any spaceport with a 7,900 foot runway, though the first flights will occur at the Mojave Air and Spaceport in California. Lynx will take paying customers for rides as tourists, and transport research payloads, as well. A flight in the Lynx will last about thirty minutes. Fueled by a burning mix of liquid oxygen (LOX) and kerosene, 2,900 pounds of thrust will be created by each of the four XR-5K18 rocket engines residing in the back of the fuselage. This will lift the vehicle through takeoff and ascent, where it will reach a maximum airspeed of Mach 2.9 until about 3 minutes into flight. At this point, Lynx will be around 190,000 feet in the air, where it will turn off its engines and coast upwards, until it reaches apogee at 328,000 feet. It will experience weightlessness for about 4.6 minutes, followed by re-entry, with its passengers experiencing gravity four times greater than normal. The final leg of the trip is a spiral glide back to the runway where Lynx will safely touch down and roll to a stop. 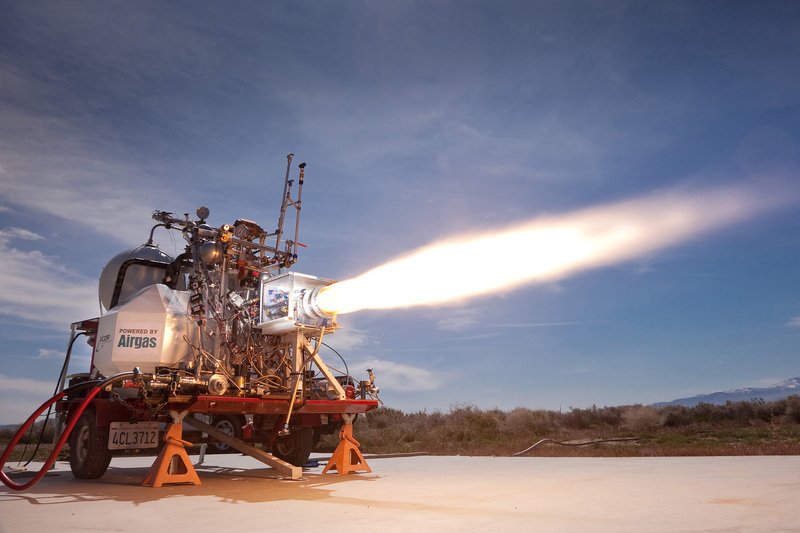 There are three versions of Lynx that XCOR plans to build. The Lynx Mark I, at XCOR’s Mojave facilities undergoing development, is a prototype spacecraft that will serve as a test vehicle. It is due to begin its flight test program this year. Its equipment and systems will be tested until the full flight profile has demonstrated capability. Once complete, the craft will be licensed as a launch vehicle under Federal Aviation Administration rules to provide commercial services. This version will primarily be used to train pilots and crew for the Lynx Mark II and is only made to reach an altitude of about 200,000 feet. Lynx Mark II is the version that will take tourists and commissioned payloads into sub-orbital space. It will undergo construction and assembly as the Lynx Mark I is going through its development program. This is the craft which will carry passengers so they can get the experience of being in space, as it takes them to a weightless environment at the peak of the flight, along with a view of the curvature of the earth against an infinite backdrop. The Lynx Mark II will also carry microgravity and biotechnological experiments to take advantage of its internal payload volume. This version of Lynx will use identical propulsion and avionics systems as its predecessor, but it will have a lower dry weight leading to a higher performance due to key innovations currently proprietary to XCOR. It is designed to reach an altitude of 328,000 feet as long as specific payload weight limits are achieved. The third version of the spacecraft will be derived from the Mark II model, with several modifications for enhanced payload capability. This will be achieved by adding a dorsal pod to the body of the craft, allowing for up to 650 kg additional payload, which can be in the form of experiments, or even small satellites. This Lynx Mark III model will have upgrades to its core structure, landing gear, and aerodynamics. It will also receive needed improvements to the power of its propulsion system to accommodate the extra weight it will be modified to carry. So if you wanted to take a ride on Lynx, here is how it would work. First, you will have to purchase a ticket, which comes with a price tag of about $100,000 per flight. However, you cannot just buy a ticket and hop into the passenger seat. 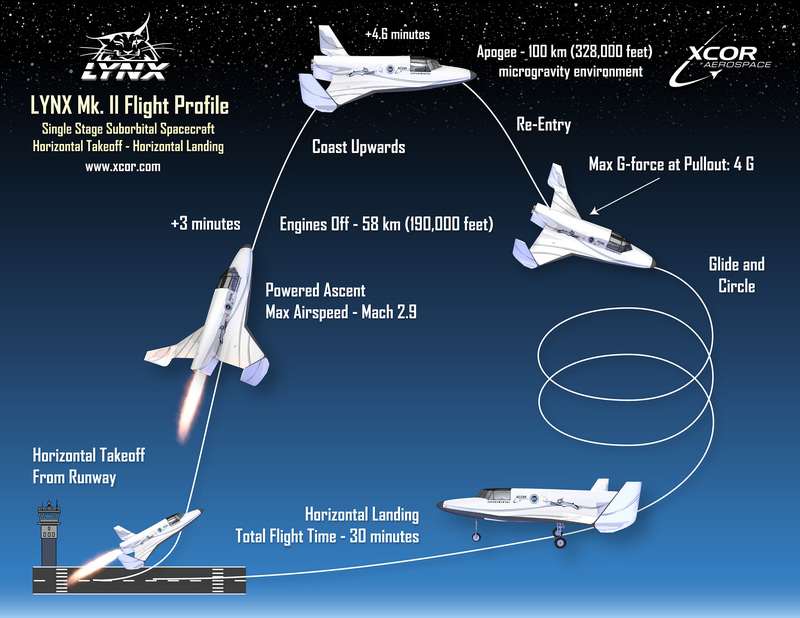 XCOR will thoroughly educate you and conduct a screening process prior to flight preparation. You will then need to undergo medical screening and G-force training with other space tourists before you aim for the stars. 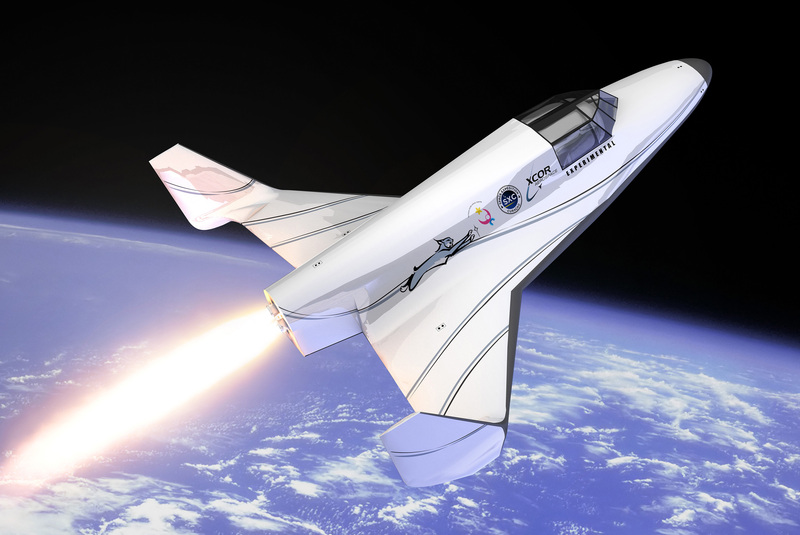 XCOR is currently offering reservations for future flights. To begin the application process, go to www.xcor.com, and click on the link for ticket purchasing. Though the price tag seems high, XCOR is offering flights at a much lower cost than its competition. The company that will emerge as the leader in this exciting area of commercial spaceflight is yet to be seen, but XCOR is speculated to send up its first tourist flight in 2014. If all goes as planned, it won’t be long until we get to see the world from the perspective of a space tourist. Col. Seafoss has referred to the trip as the ‘Greatest Ride Off Earth’. With that kind of description, it can easily be deduced that one’s head will remain in the clouds long after the flight has landed.